Cycling is an increasingly popular means of urban transportation. As Seattle’s population increases, so do the risks associated with cycling in the city. 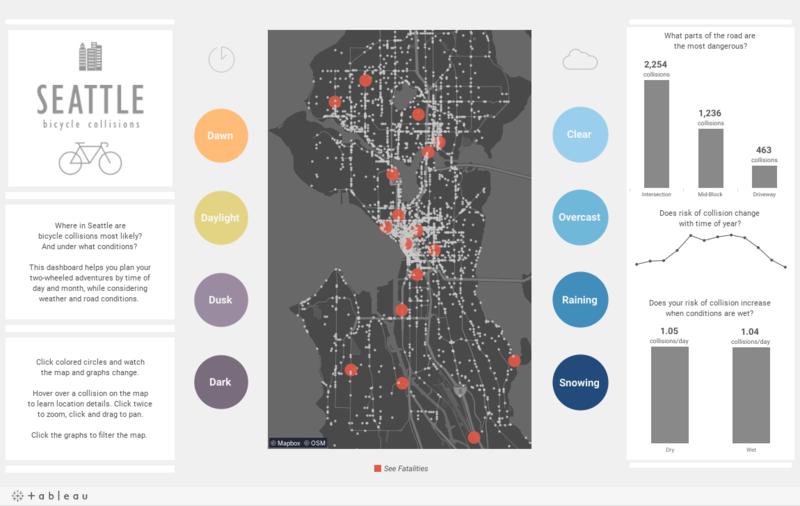 Through data storytelling, the City of Seattle has a strong means of educating the community around bicycle safety. People can see and better understand the risks involved in urban cycling and make important decisions about those risks.